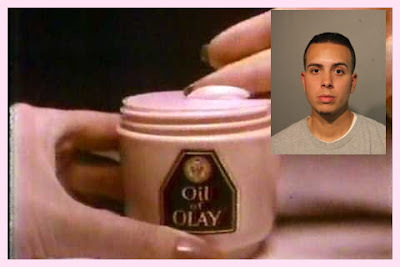 Even a 27-year-old convicted felon needs soft, supple skin. Very, very supple skin, it would seem. 27-year-old William E. Mayor Jr. of North Center was arrested at the new Lakeview Mariano’s store last week after security saw him try to walk out the front door with a basket containing 41 boxes of Oil of Olay worth $1,097, according to court records. Mayor was paroled in late September after serving ten months of a 2-year narcotics sentence, according to state records. Mariano’s security told police that Mayor “has done this before,” but we could not find any other cases involving Mayor and the grocery store at 3030 North Broadway. He did, however, get charged with stealing more than $300 worth of merchandise from Costco in Lincoln Park two years ago.